In today’s digital landscape, it has never been easier to source design tools for any type of project. And one of the front runners in giving designers the best bundles is Pixelo, a platform that offers complete design toolkits. Pixelo curates the most unique and beautiful design assets for branding, packaging and logos. With each bundle, the brand brings top designers and those working in the creative industry a bountiful selection of high-quality assets that are truly inspiring. The Pixelo team chooses designs based on themes, which makes it easy for designers to choose what they need. And with every bundle carefully curated to contain only the best and the latest designs out there, you can be sure that you will be satisfied with each collection. 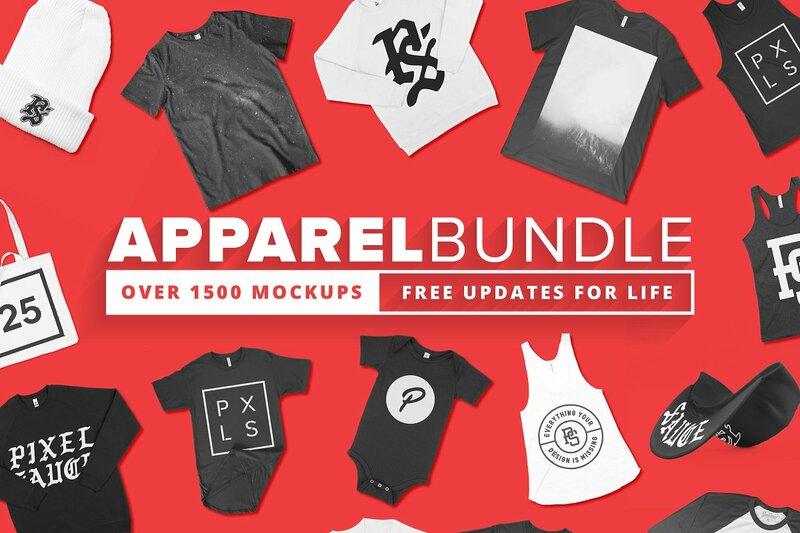 A one-time purchase of any design bundle enables you to have that download link permanently on your account. You can simply re-download it when you need to use the designs. The great thing about Pixelo is how their platform provides big discounts on certain design assets. In fact, many of their deals offer discounts up to 95%! With Pixelo, whichever design asset you include in your project is commercially licensed. You can concentrate on finding the right style for your project without worrying about copyright issues. Pixelo provides round-the-clock customer support in case you encounter difficulties or issues with using the design bundles. They are available for any product-related concerns. Pixelo showcases various design bundles for a myriad of design options for marketing and design purposes. Each one generally includes fonts, graphics, brushes, textures and actions – all of which can be used to complete your masterpiece. The latest offering from Pixelo, this bundle features clean, streamlined designs that are timeless in appeal. Containing 67 font families, the added styles and alternate characters within these styles add up to a total of 162 font variations. There are so many styles you can choose from, whether you are working on branding, packaging, posters, t-shirts or restaurant menus. The possibilities are endless. This font uses a scraped effect that adds personality to a perfectly weighted font, making it a good choice for headlines of any size. This contemporary font is uniquely versatile with its thin lines and smooth, rounded corners. It supports Latin and Cyrillic characters. Go bold with this thick, handwritten typeface. Perfect for large headers, as well as quirky merchandise with big blocks of text. This is another great typeface that features a combination of the ‘Indigo Regular’ and an outline version ‘Indigo Outline’. What you get is a standout style with a striking outline for each letter. The original price for this entire collection is $824, but of course, Pixelo gives users fantastic deals that are simply too good to pass up. This bundle is available today for only $39 if purchased via Pixelo.net. Another professionally crafted collection from Pixelo, the Gigantic Vector Graphics Bundle features more than a hundred vector sets that have over 9,000 unique vector elements. Watercolour clipart, flat-lay vector art, calligraphy designs, realistic vectors and themed packages are all included. Vector graphics are perfect for design projects like posters, flyers, t-shirt designs and more. With this bundle, you literally have thousands of options to combine and put your own spin on. And this collection comes with an Extended Use License, allowing you to use these designs for personal or commercial purposes. Originally priced at $4,572, the current deal for this bundle brings it to just $39 if downloaded via Pixelo’s website. That is such a convenient way to get your project started! A powerful collaboration with FaeryDesign’s Ada puts forth this wonderful collection that showcases a collection of overlays and Photoshop add-ons. 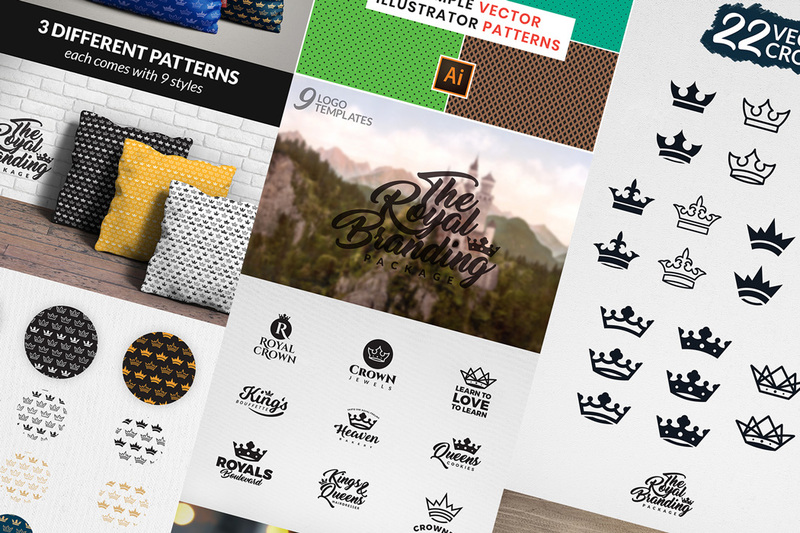 What’s so good about this bundle is that there are 11 Photoshop collections that include over 3,800 distinct add-ons to help your design process become more convenient all while delivering maximum impact. Photoshop overlays, brushes, swatches, palettes, classy filter effects – these allow designers to easily customise images according to their personal taste and design sensibilities. 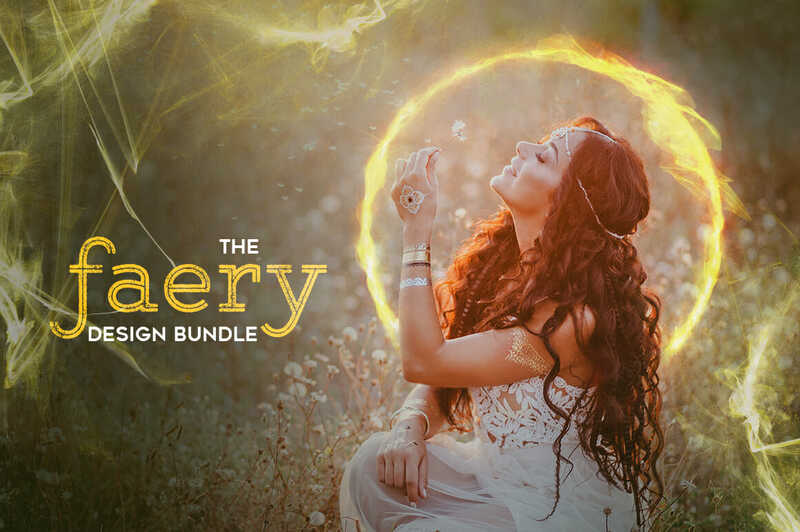 And as with Pixelo’s other offerings, the Faery Design Bundle comes with an Extended Use license to give you the opportunity to use these incredible add-ons for all kinds of creative projects. Download today at Pixelo.net to take advantage of the massive discount – originally worth $1,061, this quality collection is now just $19. 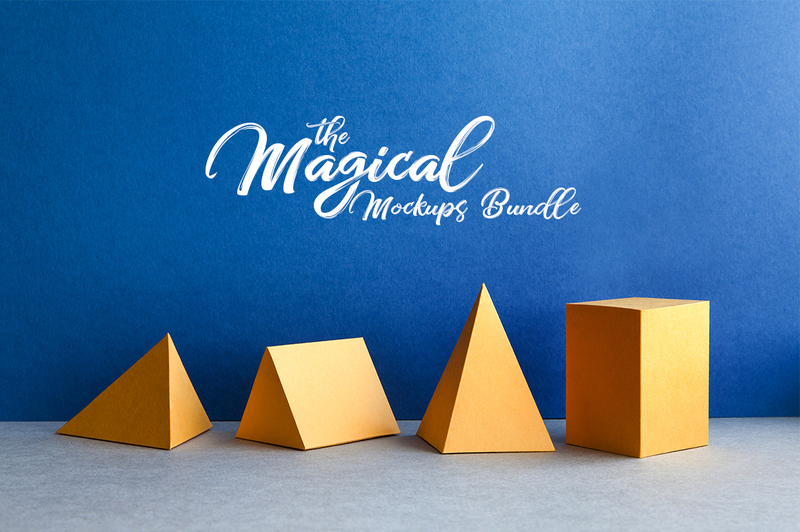 Another fantastic resource from Pixelo, this bundle includes more than 700 professional-quality mockups that can be quite useful for business presentations, social media posts and almost every marketing material you can think of. Pixelo has really pushed for customised designs, as these mockup options are made to suit different industries’ branding initiatives. For instance, there are styles meant for home themes, food and drinks, cosmetics, apparels and so much more. And to ensure user-friendliness, all mockups are entirely editable, so you can remove or change a part of the design. This bundle is currently on special offer: instead of paying $3,300, you can have it for only $39 – a whopping 99% discount! 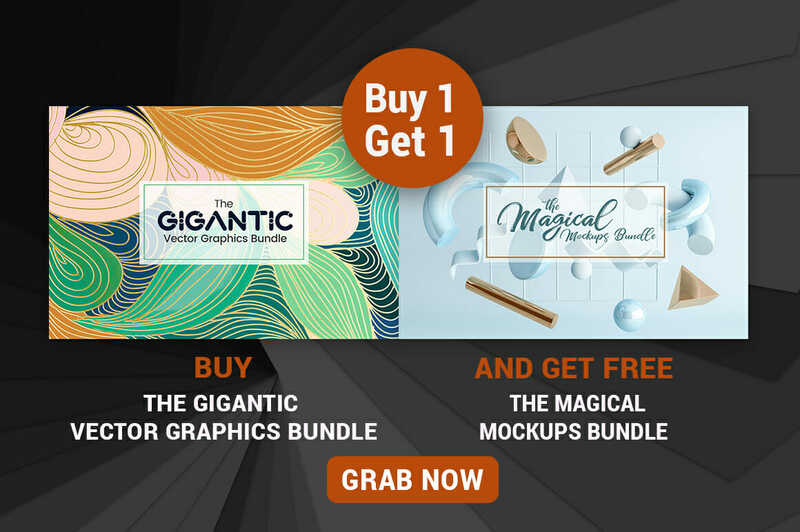 Plus, for those who are considering the Gigantic Vector Graphics Bundle, if you purchase it today, you can get the Magical Mockups Bundle for free! That’s as great a deal as you will ever get. Aptly named, this collection of the most powerful, up-to-date designs will no doubt make your project stand out. 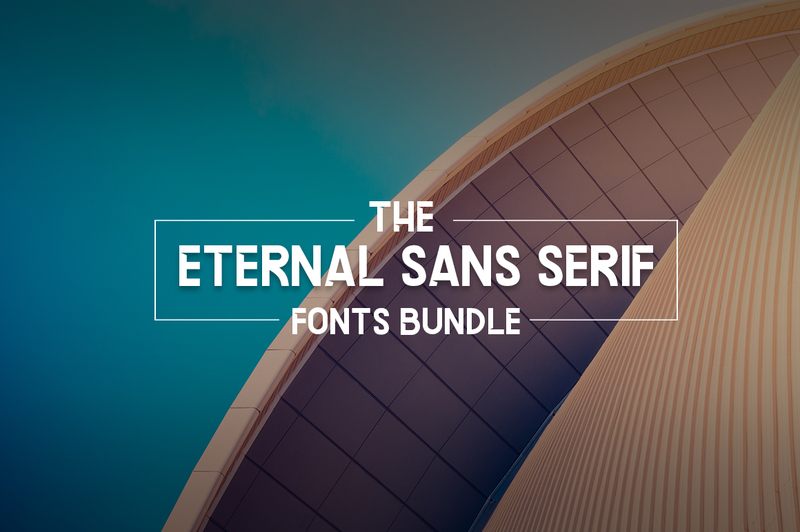 This bundle contains a total of 51 font families, 67 Photoshop actions, 19 mockups, 500 backgrounds for different themes and more than 2,000 vector images. There are also several tutorials included to help you make the best of the fonts, images and textures available. Pixelo has once again anticipated every need that a digital artist may have, as this bundle proves to be a mammoth resource for those working on design projects. And the best part is the price! 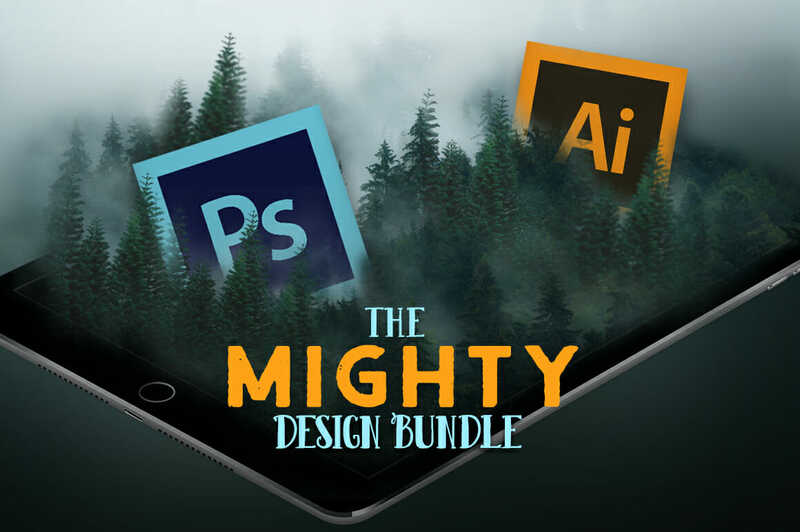 You can get everything in the Mighty Design Bundle for just $39 at Pixelo.net. If you are looking for fantastic design tools and love a great bargain, check out Pixelo’s offerings. These bundles are specially handpicked for every design need. With these resources, designers have endless options that can be used for a long time.